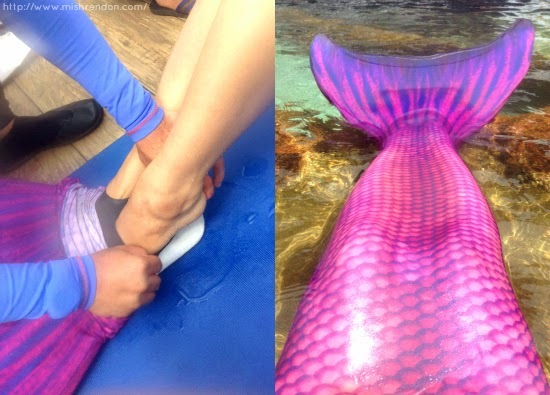 I am pretty sure every girl wanted to become a mermaid at some point of their lives. This could be easily attributed to Ariel of The Little Mermaid and our local mythical sea creature, Dyesebel. Well, I tried curling my hair and dyeing it red but I think that's the closest I got to becoming a mermaid. 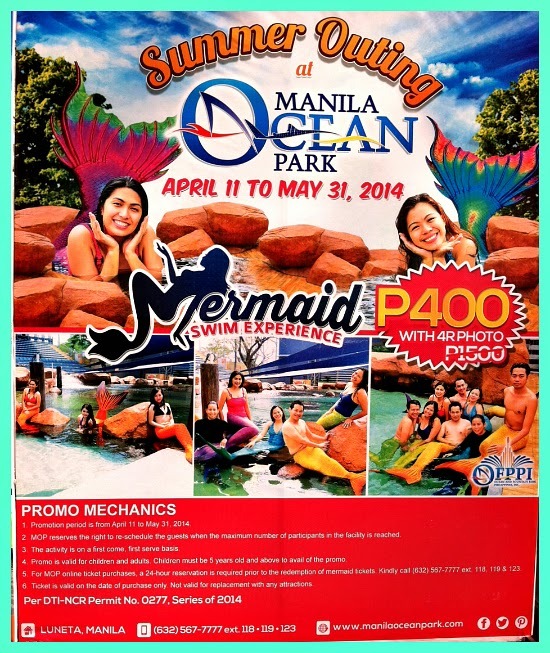 Honestly, I still have that silly dream up to now so I am grateful when Manila Ocean Park invited us for a mermaid swim experience. 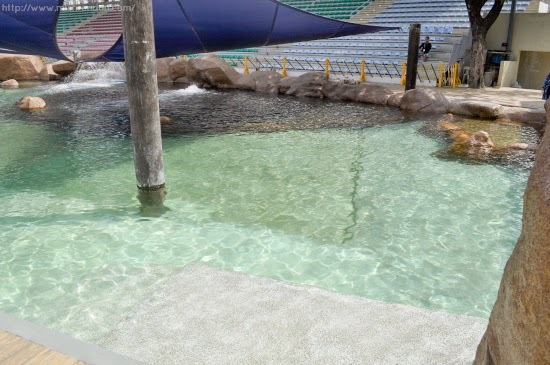 The Mermaid Swim Experience is Manila Ocean Park's latest attraction. In a nutshell, it is a 45 minute program featuring basic swimming, how to glide with fish tail underwater and proper breathing techniques. Initially, we were made to sign a waiver and were oriented by our instructors from Manila Ocean Park regarding the do's and don'ts in mermaid swimming. Later on, we transferred to the pool area which surprisingly contains salt water filtered from the Manila bay. One of the best parts of this activity is choosing the color of your tail. My sister chose the turquoise one which made her look like Ariel of Little Mermaid, while I chose the purple/pink tail. The monotail is elastic and comfortable and easy to wear. The fin, on the other hand, is quite heavy underwater but definitely comfortable. It comes in different sizes so anyone can absolutely try this fun activity. 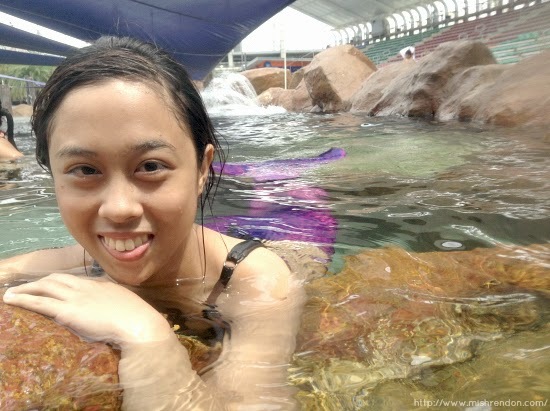 Swimming like a mermaid is quite a challenge. Although I know the basics of swimming, swimming with a tail is not as easy as it appears. Thankfully, we were carefully guided by our instructors. At first, they'll assist you in swimming with the tail. If you were able to get the hang of it, they'll let you swim on your own. Every part of the activity is supervised and indeed safe. It is recommended though that you know the basics of swimming if you are to try out this activity. 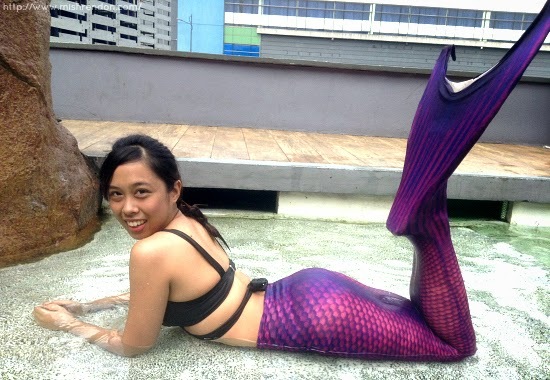 However, if you prefer to just gain a tail for a photo op, then you may still avail of this wonderful experience as each guest will receive a souvenir photo and do a mermaid pose. 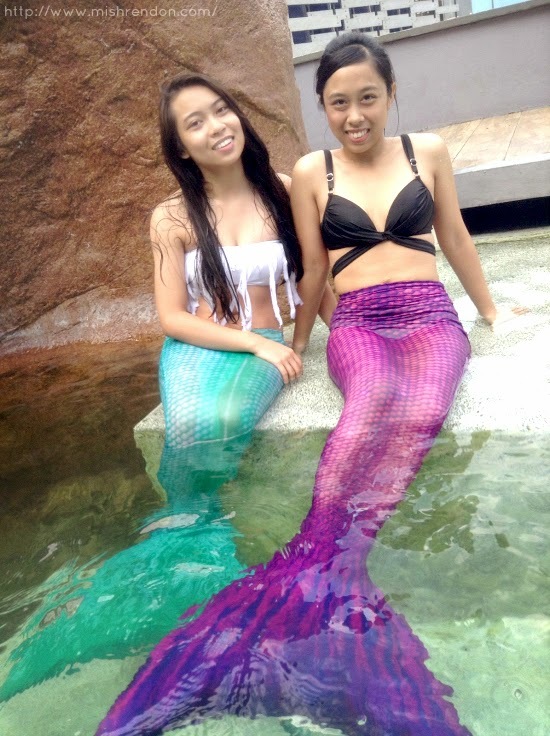 Elsa and Anna (Frozen) inspired mermaids for the day! Underwater shot! Sorry I look like I'm drowning lol! when's our part two? HAHAHAHAHA!! I missed this event because I was out of town and I wasn't sure I could do it too because I don't know how to swim. i would love to try that too!